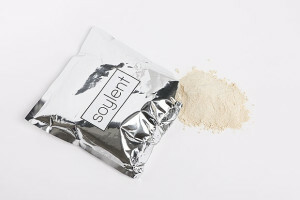 Soylent Meal Replacement Drink: Silicon Valley's Newest Trend Goes Global With International Shipping Be part of one of Silicon Valley’s newest trends and most controversial creations. Soylent is a milky, powdered drink that tastes like custard and purports to contain enough vitamins, nutrients, proteins and carbohydrates to replace full meals for extended periods of time. This new trend is available worldwide with convenient international shipping when you buy Soylent from Big Apple Buddy. Hailed by the Atlantic as the product that could “make food obsolete” and the The New Yorker as being one of the tech industry’s most interesting “life hacks” to date, the concept is not without doubters. Can it really replace solid food? Will Soylent drink really save you money? Can you workout on a Soylet diet and will it improve your fitness? To shed light on these questions, international best-selling author of The 4-Hour Workweek, investor, and entrepreneur, Tim Ferris tracked his health for several weeks while consuming a strictly Soylent diet. In this article, he reveals why the answer is a resounding, “yes!” Despite the product’s unconventional nature, creator Rob Rhinehart explains that he crafted the drink’s formula based on the body’s molecular needs. Instead of eating grains or bread that also contain excess sugars and fats your body can’t digest, the drink serves up 228g of pure carbohydrates. Skip the salmon dinner while giving your body the benefits of 1.29g of natural, omega 3 fatty acids. The product goes far beyond traditional meal replacement shakes, with soylent ingredients including vitamins such as Magnesium, B3, iron, calcium, E and C, not to mention 84g of protein, 16g of fiber, and much more. Soylen’s pure delivery to the body and scientifically crafted formula ensure your body is getting richer nutrients in the quantities you need. You’ll save time on cooking, streamline your shopping list, and spend less than US$10 per day on this fully balanced meal replacement system. If the thought of eating – or drinking – the same thing every day doesn’t sound appealing to you, DIY Soylent helps you find and make your own Soylent recipes that satisfy your cravings. Never eat fast food again. If you find yourself skipping meals or are too busy to take lunch breaks, Soylent can keep you healthy, alert and focused without the hassle. Students on a budget, low-wage workers, and the occasional over-stimulated, underpaid startup CEO might also benefit from the low-cost, highly nutritional drink. Thanks to Big Apple Buddy’s international shipping, you can experience Soylent globally in destinations like Singapore, Australia, Hong Kong, Germany, New Zealand, Austria, Sweden, Malaysia, Thailand, South Africa, UK, Italy, and the UAE. 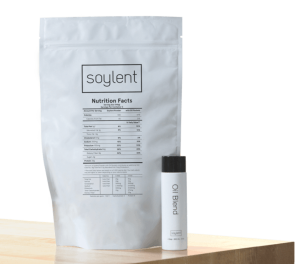 Get a free quote today and discover a new level of health when you buy Soylent from Big Apple Buddy today.